This month, we have been working on finding your passion and ways to achieve your ultimate goal related to that passion. First, we identified what it is that you are passionate about. Then last week, we looked at all the behaviors, habits, and skills that can help us or hinder us in realizing our passion. If you are just joining us, this post will give you the context behind what we are trying to do here and this will show you what we did last week. This week, we will zoom in and narrow down our behaviors, skills, or habits to just one or two that are best suited to help us. Then, we will put an action plan together for you to practice and get better at it every day, so that you eventually achieve your ultimate goal. Are you ready? I am! 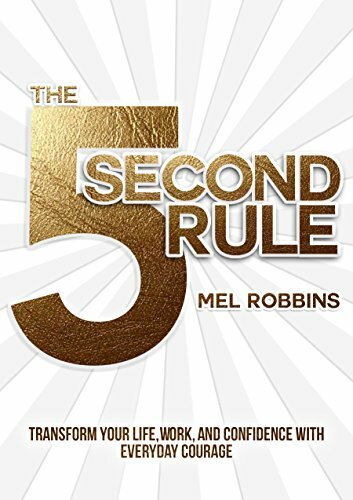 Now that you have a collection of a wide variety of behaviors, habits, and skills, it's time to zoom in and figure out what would have the best, most profound impact on the progress you wish to make. Consistently following a path to your North Star - your ultimate goal - despite whatever may come in your way, usually requires characteristics like discipline, grit, and determination. If people around you are not supportive of your efforts and dreams, you will need courage to go against the grain and stay the course. For example, if you dream of one day holding an exhibition of your paintings, you may want to make painting a habit by making time, creating the environment (perhaps a little studio in your house or a corner of a house), and improving or enhancing your skills. If you dream of being healthy and free of excess weight, you may want to build a habit of eating healthy - not once or twice a week but every day, and moving or working out every day. In short, you want to build habits that will take you to your ultimate goal. Your task at this step is to identify one or two (or three!) things that will make a measurable difference over time. It doesn't have to be big and dramatic or glamorous. Just something that will make it easy for you to follow through and see results. Remember, we are exploring and figuring out on our own. There can be misjudgments and mistakes. If at a later point in time, you realize that what you’re doing isn’t giving you the results you want, you can go through this exercise again. While achieving that climb to the mountain top is important, this journey of self-discovery that you are on is equally if not more important. · What ONE behavior am I willing to change in my life or add to my life? · What ONE habit am I willing to change or add? · What ONE skill do I need to make progress? If you are not already, you will soon be a master of fiercely prioritizing with these exercises. Hard to choose just one? Use the steps from the Week 3 “Zooming Out” post to narrow down and rank the topmost. · Why is this of paramount importance? · What would doing this make possible for me? · Am I challenging myself to go out of my comfort zone? Test Drive: Now that you have one (each?) of the behavior, habit, and/or skill, it's time to test drive it. Start with one – the behavior, the habit, or the skill that is most meaningful for you – and put it into practice. Feeling ambitious? Try putting all of your selections into practice. And I would encourage and invite you to customize these blog posts to suit your motivation, enthusiasm, available time, and energy level. I would not want to drag you down if you are running 100 miles per hour and by a similar token, I would not want to rush you if you want to take your time with reflections, thinking through all possible aspects - stopping and smelling the roses, so to speak. · What do I foresee as challenges? - From the analysis step, what have I seen in the past or what am I susceptible to? What could stop or hinder my progress? What is holding me back, if anything? · What would make it easy for me to commit? - Maybe create baby steps? Maybe break down my passion goal into smaller bite-sized goals? Maybe quit something cold turkey? Maybe have an accountability partner? Doing vs. Being - In coaching, we consider both these aspects - "doing" and "being". Some of us are experts at doing - we take action, we proactively keep working on things, sometimes going above and beyond. But we often don't pause to consider: what am I being in all this? Am I being stressed out? Am I being overly cautious? Am I being a good employee, mom, dad? Am I being a good citizen? There are times when life demands more doing from us and we need to be doing, and there are times, when we need some being. These two may not always be in balance but we want to be aware of them all the same. · What am I "doing"? - what are the action items I am proposing I add to my list? What actions am I taking? Am I learning, practicing, creating, removing, adding, building, talking, presenting, writing, making, planning? · What am I "being"? – Am I stressing out, enjoying, taking it in my stride? What kind of a person do I need to become? Do I need to be more disciplined, creative, consistent, patient, compassionate, ambitious, funny, silly, thoughtful, mindful, considerate? · What's Plan B? - How am I going to handle my weaker moments? - I know, I know, some of you might be thinking, really, you are talking about Plan B? Don't you want us to believe in the plans we’ve worked hard on so far? I do, and I wish for you that you never waver from your chosen path. But things happen, and I want us to be absolutely prepared for any contingencies. When I was in the military, I was expected to always have a Plan B. I had to be prepared to handle any situation. They taught us that when we were prepared 100% on the ground, we would recall at least 60-70% of emergency handling procedures when we were flying. Emergency situations stress us out, and can take a toll on our rational logical thinking. But when our brains are trained to know what to do in certain situations, they will pull out that checklist and start working without much effort. That's the preparedness you want as you get ready to put all this together into an action plan. So thinking about this is not going weaken your resolve, it is only going to fortify and support it. · Ownership - Above all, you have to own this process, the journey, the passion, and the responsibility 100%. Nobody is making you do this, nobody gave you those dreams. If they did, check back with yourself that those are indeed your dreams. And if that is not what you want to do for the rest of your life, then, this is a good time to rethink and revise and re-strategize. · Behavior change - For some people, quitting cold turkey seems to work. For some, making small changes over a period of time. Whatever is your way, you want to start getting to know yourself better and see what works best for you. Sometimes, going completely away from what works for you and doing the opposite works. Because your norm hasn't quite worked to make a lasting change, it might make sense to challenge the status quo and try something different to jog yourself out of the inertia. · Habit building (Habit tracker) - When you are trying to change a habit or acquiring a new one, research shows that it takes at least 21 days to make that activity into a habit. The idea is to keep doing something even if you don't feel like at that moment. Some days and especially the initial few days, you will be motivated with newfound enthusiasm. It's the days when you don't feel like getting out of bed, or sticking to your guns is where tools like habit trackers come in handy. Now don't make that a big chore - tracking habits in itself is a habit. Keep it as simple as possible - but a visual representation of how you are sticking to your plan is a great boost to your motivation. 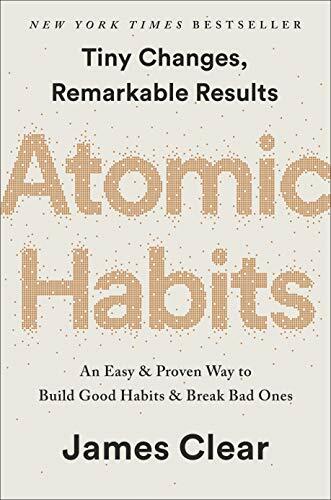 James Clear says in his book Atomic Habits, (and I am paraphrasing here) to build a habit, don't miss it two times in a row. Get back on track after you have one mishap. Sliding one time is not as bad as is sliding day after day, and then one day you find yourself so far away from what you wanted that you have to start all over again. 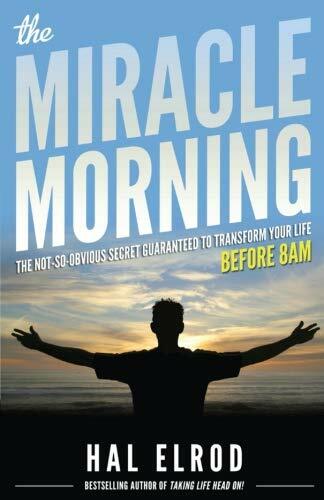 His book is a very useful resource and a quick read or listen. Here are some other books that you might find useful as you build lasting habits. · Skill (Practice, break down into smaller steps) - Another trick for adding a new skill is to practice regularly. Maybe breaking the overall skill into smaller steps might make sense. Learning to play the guitar? Rather than worrying about chord progression right out of the gate, learning just one chord at a time might help. Next, chord progressions with easy transitions might give you confidence to go on to more complex ones. Want to write a book? First, writing an outline based on your initial idea and then maybe a list of chapters and then filling out the content and so on, may be the way to go. Sometimes just starting to write a blog or a journal to get you in the habit of writing might help. "I am passionate about ……… (your passion). It is of the utmost importance to me in my life because…………(significance). I will live a fulfilled life authentic to who I am when …………. (vision). I wish to achieve this by ……………… (date) or in ……………... (days/weeks/months/years). For that to happen, I commit to …………... (specific action – changing/adding behavior, habit, skill) …………. (frequency -every day/three times a week, etc.). I will know I have achieved my ultimate goal when ………………… (condition – enhanced ability – I do 100 pushups in one minute, can read music, can publish articles or blog posts, etc. ; mastery – I can play any song on the guitar, can write riveting short stories or novels, etc.)." Share: In the comments below, tell me what worked or didn’t work for you, what you found most challenging, and more importantly, the results of your efforts. If you were successful, please share! If you were not successful initially, what did you change or do differently? I am rooting for you and want to hear how you are applying this in your life. Go on! I am cheering you on from the sidelines!